Aside from location and neighborhood, one of the main aspects that drew us to our current home was the property lot. We moved from a nearby "patio-sized" beach city lot to a house with a decent-sized backyard. But just like the rest of our fixer upper, it is in dire need of a makeover. I'm pinning some outdoor inspiration for our backyard makeover if you wish to follow along. That is too funny about your trespassers Carol! Maybe they can eat up some of your unwanted vegetation while they're there....we are on the verge of renting a herd of goats to control poison ivy in our yard, I would love for some to wander in! Oh no... poison ivy?! Our not-so-little (they looked very well fed!) 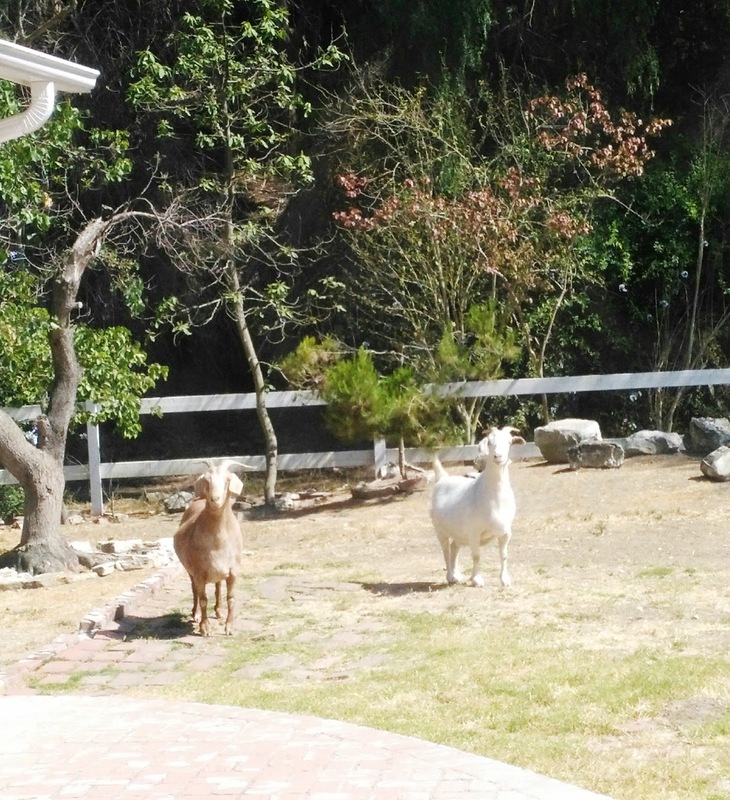 trespassing goats would have probably loved your yard. We have not maintained or watered anything in our yard (knowing we're going to dig it up), so there isn't much for them to feed on - or mow down! There is a little area down the hill from where we live that always rents a bunch of goats to chomp down the grass. It's such a cool site to drive by!